You can now watch a preview clip of Steven and his band perform ‘Harmony Korine’ live in Mexico. Following the release of Grace For Drowning, Steven embarked on his first ever solo tour, assembling a virtuoso band, featuring Marco Minnemann (drums), Nick Beggs (bass), Theo Travis (flute and sax), Adam Holzman (keys) and Niko Tsonev (guitars), to accompany him. 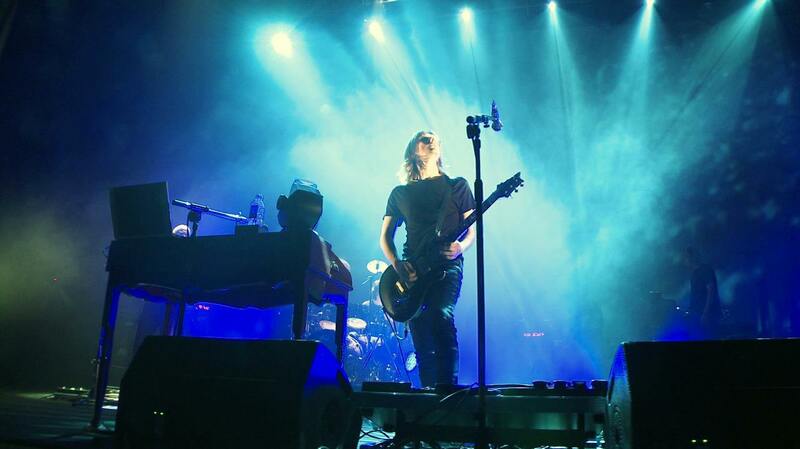 For the shows he worked extensively with Lasse to create a show unlike nothing else that he had ever done with his other bands, Porcupine Tree, Blackfield, No-Man or Bass Communion. The shows submerged fans in a rich sensory experience: rear speakers provide surround-sound effects, giant screens show off Lasse’s films made specifically to accompany these songs, and cutting-edge lighting designs giving texture to each song. Get All You Deserve captures one of the highlight shows from the tour. Recorded at a sold-out Teatro Metropólitan in Mexico City, the gig features tracks from both Wilson’s solo albums along with the new, as yet unreleased, track Luminol.